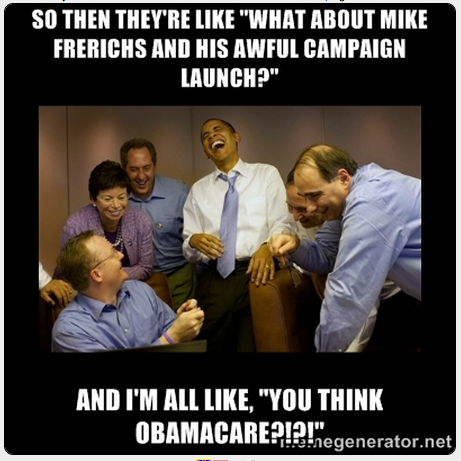 We all know that Mike Frerichs takes President Obama seriously. He fawns over him on Facebook. So, being the punchline like this must hurt, right? After getting word in DC about Frerichs' bungled campaign launch, the Obamaa team again sent back word. Hey...no matter what you think of the President's politics, you have to admit he's got a heckuva sense of humor.